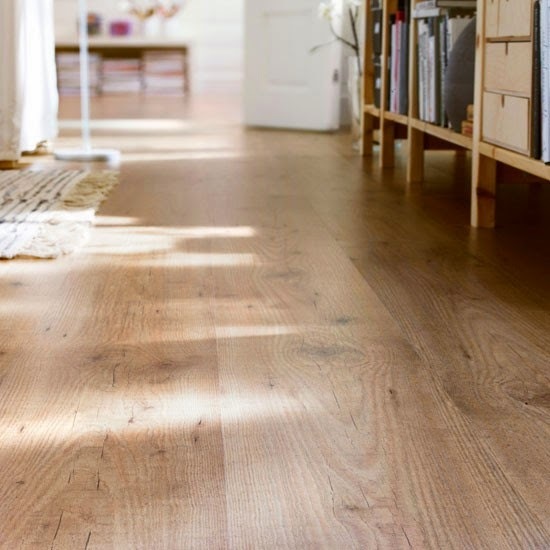 We had laminate flooring in our first apartment, and I actually really liked it: no wood care, not as hard/cold as tile, and really durable. Love laminate. Not as nice as wood, but with littles no dings, scrapes, or dents and looks nice! That aside, if you are maybe planning on renting the place out, don't put nice floors in, because renters will not be performing nice wood care and may just outright trash them. I don't know what kind of real wood floors you were looking at. We have planking from the 1930's and there is like a 2-3 mm gap between the planks and it is full of %}^*. Let's just call it patina. And save the hardwood for your forever home! The grain in that photo looks very nice. You are guys are awesome. I wish we were handy. 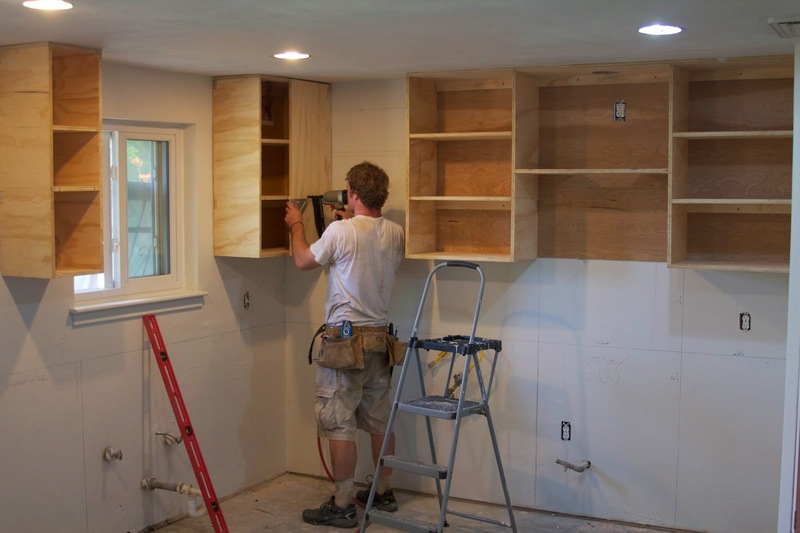 Wowzas, those cabinets are looking good! Wow! Keep the updates coming, please! So good to catch up on your corner Kate, you're been super busy my dear girl! A new kitchen, you lucky duck!